There are just some things that make us nostalgic for summer break. 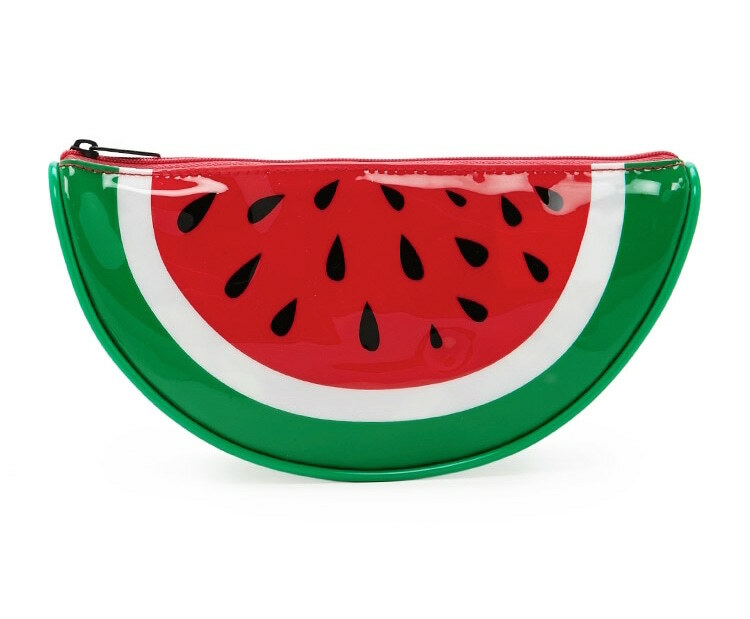 Slip ‘N Slides, popsicles, Fourth of July shirts from Old Navy, and watermelon. Okay, so maybe the fruit isn’t condemned to just one season of deliciousness, but watermelon is the summer fruit of choice, right? While we love eating and drinking the tasty melon, America Ferrera reminded us that we also love the aesthetic of it. 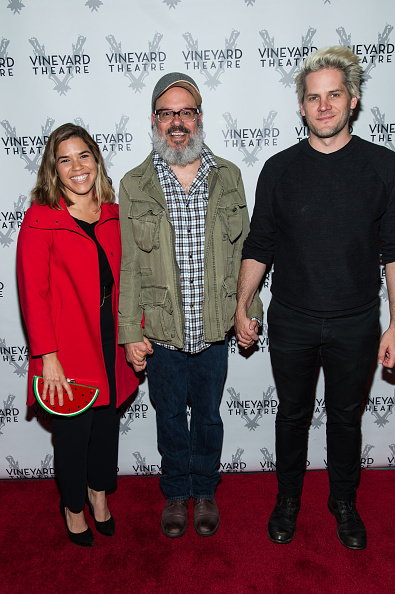 That’s why we’re low-key obsessed with America Ferrera’s watermelon clutch, which we want to wear all season long. America wore the delectable piece to opening night of Can You Forgive Her? and we love how she styled it. America added a matching, cherry-red blazer to her ensemble, complementing her black slacks to perfection. She also finished the look with a pair of sky-high black pumps, and we must say, we’re loving the casual-cool vibe of this ensemble. The best part? 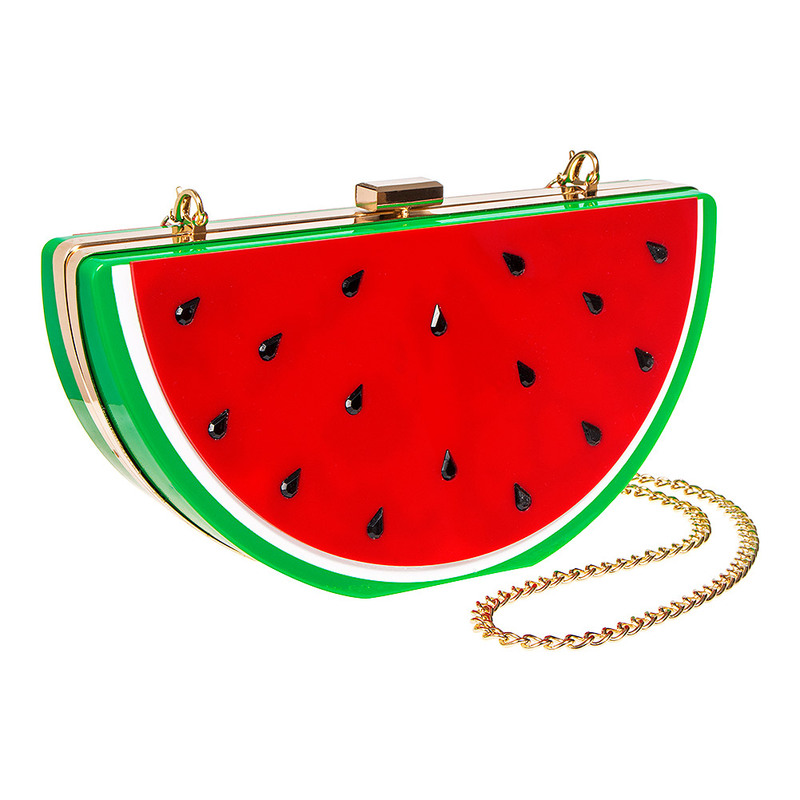 The watermelon clutch is the star of the show! If America can make this clutch red carpet-appropriate, then we pretty much have the green light to wear our own version of it whenever and wherever. 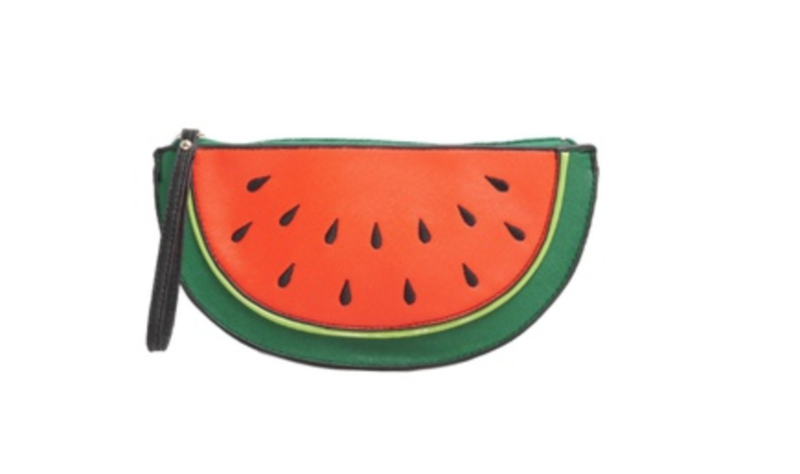 The clutch is all the sweetness of summer — without the heat. 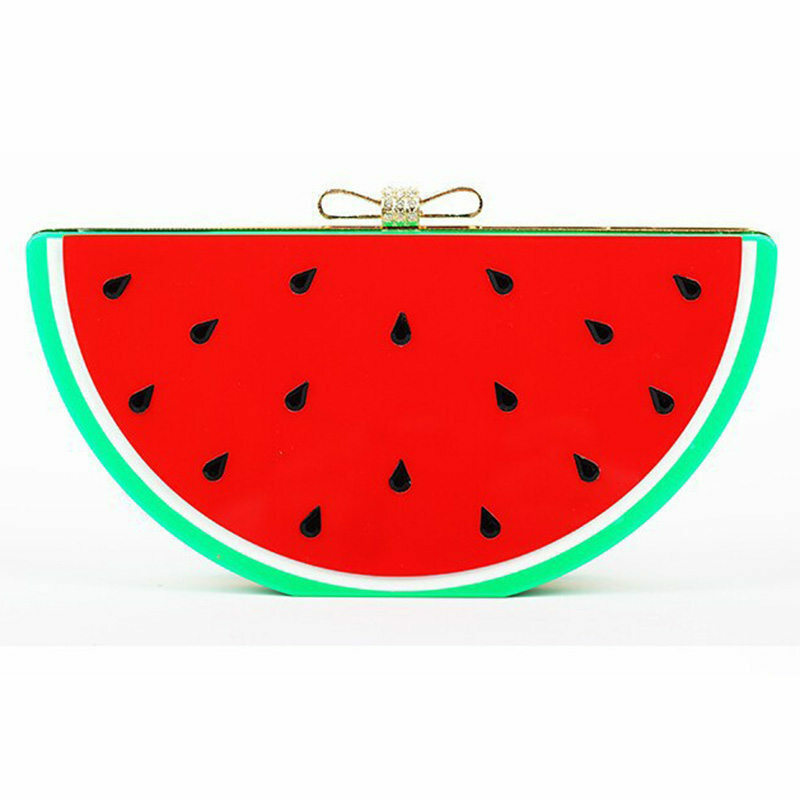 If you, too, want to rock a watermelon clutch all summer long, no worries! Read on for our favorite ways to do just that. Are we the only ones who could use a fruity treat right about now?